Gluten Free Beat ®: PF Changs = WONDERFUL FOR CELIACS!! PF Changs = WONDERFUL FOR CELIACS!! Oh, Mongolian Beef, how do I love thee! The have a dedicated GF Menu!!! YES!!! And it's not just 1-2 items, it's a great menu! My two favorite items are the chicken fried rice and Mongolian Beef, YUM! They use specific plates to identify foods that are GF (see image above with P.F. Changs China Bistro Rim -- strictly for GF items)!!! They have a 10% off club!! Sign up NOW! The GF food still tastes delicious! My Mongolian Beef tastes just like my older fond memories of non GF Mongolian Beef. I am a huge fan of P.F. 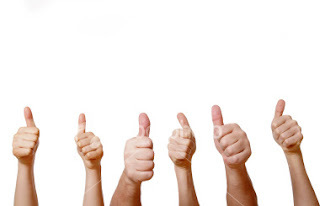 Changs - THUMBS UP! P.F. 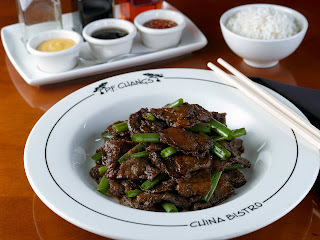 Changs is nice enough to give you the recipe to GF Mongolian Beef - but, why bother, I'll just let the pro's handle it! It belongs on the top 5 GF chains. Restaurants need to take a cue from P.F. Changs, get those GF Menu's ready! I love their fake General Tsu's chicken. It has a gf crust on it and makes my mouth believe that I'm not missing out. My mouth waters thinking of PF Changs period, love that they make GF food that taste's SO good!! Just tried P F Changs for the first time. Moo Goo Gai Pan, Shrimp w/ Lobster sauce and Combo fried rice. It was all very good. Not outstanding but very good. The GF Flourless Chocolate Dome was TO DIE FOR! The service was excellent (3:30 PM). Our waiter was knowledgeable about Celiac's and very attentive. They even threw in the Chocolate Dome for free as it was our Anniversary! Portions were very generous...we took home enough for another meal. It was the one at Galleria in Ft. Lauderdale and we will definately be back. Rudi's GF Bread - Am I Dreaming?? Chili's - The Best Corn Ever! And a GF Menu! Holland America - A 5 Star GF Vacation!! Portofino - Dare I Say the Best GF Pizza Yet?? By Far, My FAVORITE GF Snack!! VOTE 4 YOUR FAVORITE GF Providers TODAY!